We made it to 20,000 views! Let's have a giveaway! We were so excited to hit 20,000 views we decided we should celebrate........We are having a giveaway! Enter to win one of these two back to school printable kits for the classroom. Enter below to be one of our winners! Winners will be announced Saturday night! Please leave a comment below telling us your favorite kit......Back to school is a Hoot or Lotsa Dots. To become a follower just click on the link above, and then click the link add to favorite shops. One of my absolute favorites to design, I just love owls...the sign is the perfect addition to any teachers lounge or office and for only 50cents what a steal! I love the Lotsa Dots. Such great colors!! Love the Back to School is a Hoot kit! I LOVE the Hoot kit. I am OWL Obsessed and this would be perfect for my class theme!! I love, I want it, I want WIN IT! :) You guys have designed the cutest things! I like both but I think the lotsa dots is my favorite! 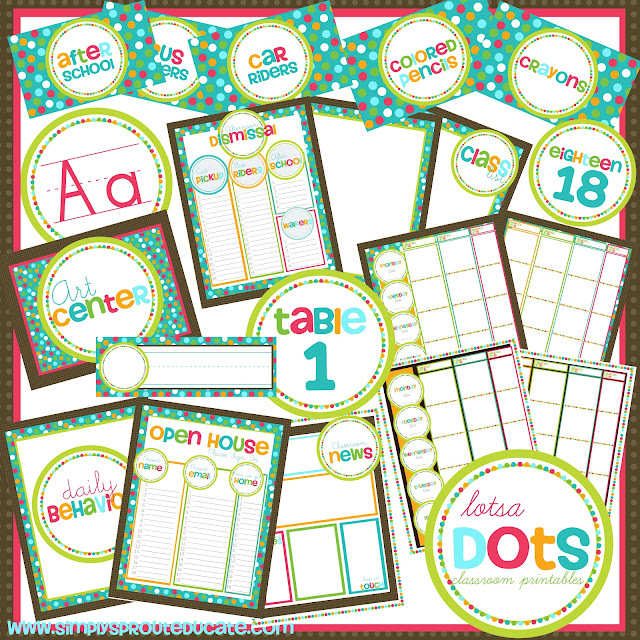 I'm loving the Back to School Hoot kit! It's precious & it's just what I need for my owl obssession.